On behalf of the Government and People of the Virgin Islands, I bid a warm welcome to the leaders and participants of the many Social Security Boards from the Caribbean region, United States of America, and Suriname. Over the next few days you will meet to evaluate the “Sustainability and Resilience of Social Security” of our respective jurisdictions, and at the same time you will discuss solutions to further strengthen the work you do and the services you provide to the public. This CARICOM meeting is timely as it comes at a time when we all must be reminded of how important social security is to any economy. First, it is a basic non-negotiable human right, as so found in Article 22 and 25 of the Universal Declaration of Human Rights. We all have a responsibility to ensure that people experience a dignified standard of living, regardless of age, infirmity or circumstance of life. So our presence here today, as a collective body, says that we understand the significance of why social security exists. We all understand that our people look to social security to mitigate financial impacts that are a result of sickness, disability, retirement, old age or otherwise. We understand that while all employers and employees are required to register and pay contributions, as a social security body, we have a responsibility to provide them with a high measure of economic security and social protection. It must also be sustainable. People need to be at ease knowing that in each of our jurisdictions, our social security systems are reliable and can provide a social safety net that is strong and durable. In this regard, across the region, social security programmes are now being well established. And where doubts may have arisen at first, have earned the respect and confidence of their local constituents and are considered, in many countries, to be among the better administered public sector institutions. For many countries, especially those committed to internal investment, social security continues to be an ideal catalyst for economic development to provide a good source of funding for both public and private infrastructure and other development projects, and are a significant source of funds for commercial banks. As a matter of fact, in a few hours, I will be moving a motion in the House of Assembly to secure funding through a loan from our Social Security Board to complete phase five of our electricity expansion project. The investment arm of the board carefully selects investment opportunities to grow the fund. Investing also in the local economy is good for the board and for the local economy, as there has never been a default in repayments by the Government of the Virgin Islands to the Social Security Board. I believe that the Social Security Fund must be put to work to help meet the wide-ranging needs of our people. And indeed that is the mandate of the Social Security here in the British Virgin Islands. It is in that spirit that funds from Social Security have been dedicated to the purchase of needed medical equipment over the years, as well as more recently $1.5 million for equipment for the New Peebles Hospital. My Government has also made a commitment to developing a heathier Virgin Islands. We have been moving towards implementing National Health Insurance to ensure that every resident of the Virgin Islands has access to healthcare resources and receive good quality healthcare. The BVI Social Security Board has been leading the charge in this regard and I thank them again for that. At this time, I want to take this opportunity to congratulate and to pay tribute to the leadership of the BVI Social Security Board of the Virgin Islands led by Chairman Mr. Paul Webster Q.C. and Director Ms. Antoinette Skelton, and to those men and women of your team, both past and present, whose dedication, professionalism and leadership have protected and nurtured our Virgin Islands system over the years. You understand that in order to be a vibrant and relevant institution in the life of the Territory, the Social Security Fund must be put to work to help meet the wide-ranging needs of our people. As you celebrate your 35th Anniversary, I say a special thank you for your careful and unblemished track record of prudential use of the people’s hard earned contributions to the social security fund. It is no surprise, therefore, that our Territory’s Social Security system is rock solid; it has developed a well-deserved reputation throughout our region for its exemplary work; and has been the blue print model for several social security boards throughout the region. 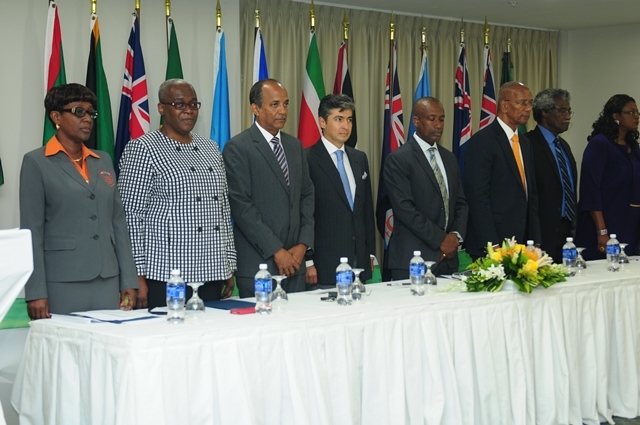 The hosting of the 26th meeting of CARICOM Heads of Social Security is, therefore, fitting. 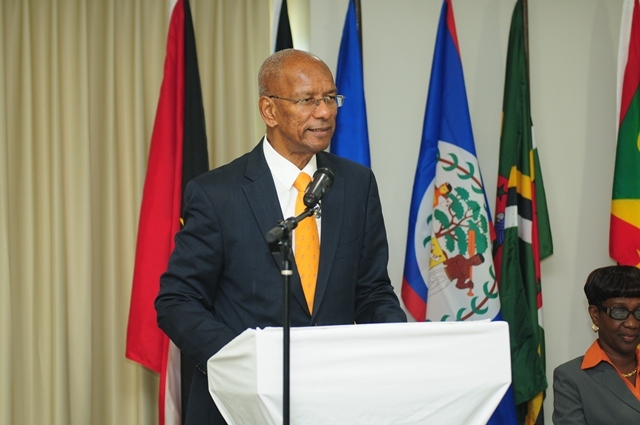 It also comes on the heels of the recently held 36th Regular Meeting of the Conference of Heads of Government of the Caribbean Community (CARICOM) in Barbados where leaders discussed strategies to ensure Vibrant Societies, Resilient Economies; A Partnership for Implementation. We engaged in dialogue on several matters related to encouraging economic growth, international processes to facilitate sustainable development, development financing, banking and other financial services issues affecting the region. So I see today as the continuation of our discussion as we recognise that coordination of the social security legislation by Member States is a key component to further regional cooperation to make a difference in the lives of our people. I wish to commend CARICOM on its commitment to a more progressive Caribbean. I also wish to commend Sir Dwight Venner who has provided the region with expert advice on financial matters. Once again, I wish you fruitful and successful discussions on your theme “Sustainability and Resilience of Social Security” and I look forward to the receiving the outcome of your deliberations. I do hope that within your busy schedule that you are able to enjoy life here in the Virgin Islands. If time does not permit, do come with your families to enjoy vacation in this place we call paradise.